Learn about the different ways potassium benefits and supports multiple functions in your body—and how to tell whether you're getting enough (or too much!). A medium baked potato (with the skin on) contains 930 milligrams of potassium, while one cup of cooked spinach contains 840 milligrams and one banana contains 422 milligrams. Unless your doctor has informed you that you’re deficient in potassium, the most you’ve probably heard about this mineral is that it’s good for you and is found abundantly in bananas. Perhaps it’s time to take closer look at how potassium benefits some of the most important functions of your body. Potassium is both a mineral and an electrolyte that helps maintain nerve function and regulate muscle contractions. It also helps the body balance the fluids and minerals going in and out of the cells while keeping your blood pressure steady. 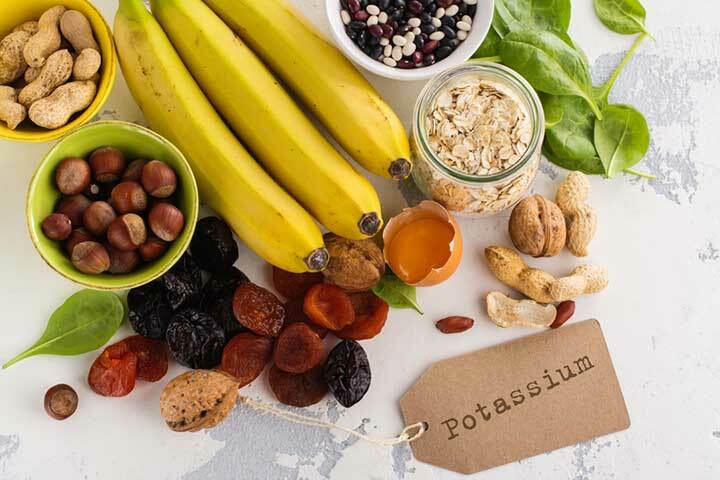 Potassium’s effect on muscles is especially important for the heart, which is a muscle itself and is particularly sensitive to the mineral’s presence. According to the Food and Nutrition Board of the Institute of Medicine, adults should consume 4,700 mg of potassium each day to lower blood pressure, reduce salt sensitivity, and minimize the risk of kidney stones. When testing your blood, your doctor is looking for a safe potassium level, one that falls somewhere in between 2.5 and 5.0. A level higher than 6.0 is considered dangerous. As mentioned earlier, potassium is particularly beneficial to the heart. The mineral not only helps your heartbeat to stay regular, but it also helps offset some negative effects sodium has on your blood pressure. The more potassium you eat, the more sodium is lost through urine. According to the American Heart Association, potassium can help to relieve tension in the walls of your blood vessels, which can lower blood pressure as well. And people who consume high levels of potassium in their diet also have a lower risk of ischemic stroke, but only when consumed through food and not supplements. A recent study conducted at the University of Surrey found that potassium benefits bone health by significantly reducing bone resorption, the process by which bone is broken down. The study also found that a high intake of potassium can reduce the excretion of calcium and acid in the urine. When it comes to maintaining a proper level of potassium in your body, your kidneys hold that important responsibility. Therefore, your kidney function can easily have either a positive or negative effect on your body’s potassium levels. For example, if you suffer from chronic kidney disease, your kidneys may not be able to remove extra potassium from your blood, which can cause hyperkalemia. Symptoms of hyperkalemia include tingling in the hands and feet, muscle weakness, and temporary paralysis. More serious forms of the condition can cause arrhythmia (irregular heartbeat) and cardiac arrest. Consuming copious amounts of high potassium foods, such as coconut water, can also cause your potassium levels increase to a dangerous level. Check out “Coconut Water Disadvantages” for more information. On the other hand, if you’re not consuming enough potassium in your diet, you can experience hypokalemia, which can cause muscle weakness, as well as spasms and cramps that are constant and quite painful. This occurs because at normal levels, potassium ensures that electrical signals in your body are not being sent to your muscles too quickly. Arrhythmia can also be a symptom of potassium deficiency because it can cause heart cells to contract earlier than they normally would, resulting in an increase or decrease in heart rate. Dark, leafy green vegetables, such as spinach and kale. Pumpkins, squash, mushrooms, avocados, and nuts are also rich in potassium. If your doctor recommends a potassium supplement, take only the recommended dosage as instructed to avoid hyperkalemia. People with stomach ulcers, heart disease, diabetes, or kidney disease should avoid taking potassium supplements, so consult your doctor before starting a regimen. alcohol, blood pressure, blood pressure reduce, bone, bone health, bone resorption, calcium, carrots, chronic kidney disease, coconut water disadvantages, cramps, diabetes, diet, digestive, digestive health, Digestive Issues, food, food and nutrition, health, heart disease, heart health, how to quit smoking, institute of medicine, ischemic stroke, kale, kidney function, kidney stones, lower blood pressure, muscle, nutrition, nuts, osteoporosis, potassium, potassium benefits, potassium deficiency, potassium deficiency symptoms, potassium supplements, potatoes, prevent osteoporosis, protein, quinoa, quit smoking, smoking, spinach, stomach ulcers, stroke, supplement, supplements, to lower blood pressure, ulcers, vegetables, western diet, whole grains. 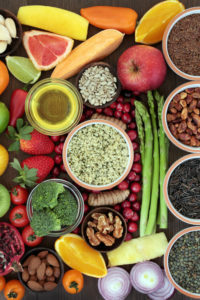 The latest AHA/ACC update to blood pressure recommendations stresses that people need to both lower sodium AND raise potassium to get the greatest benefit for blood pressure control. Thank you so much for sending the GREAT INFORMATION!! I have just recovered from a bout of food poisoning, during this bout I was constantly treckking between the bed and bathroom, my symptoms were very loose bowels, huge amounts of vomiting and the worst cramp I have ever experienced, when I finally settled down, about 4:30 am, my wife suggested I take a sachet of Enerlyte, my cramps stopped within about 5 minutes but of course the continued visits to the bathroom didn’t, however with the absence of cramp it made the bathroom visits more bearable, I have been taking magnesium at night for about 2 years for cramp with moderate success, I’m now going to switch to potassium as it is in the Enerlyte sachet, just for a try. Excellent article learned important info I didn’t know- take potassium Taurate for OA with Aleve- stiffness & pain- numbness are gone- also for slightly elevated BP- plus other minerals– vitamin’s & supplements- which my DR. knows & approves! One could never consume the amount of vegs-fruit- etc in a day to get the required amount we need to function- after the age of 70+ are bodies just don’t make it any more.